Sometimes we can get a little serious on this podcast because we're looking at the substance behind style. Our purpose is to dig into the reasons behind why style matters. But since we're talking about decorating, we also want to remember that sometimes it's just about having fun! We know you can relate to that feeling of excitement you get when you're about to change something up, start a new project or redecorate an entire room. And to start off our spring and summer season, we've got the perfect guest for you! 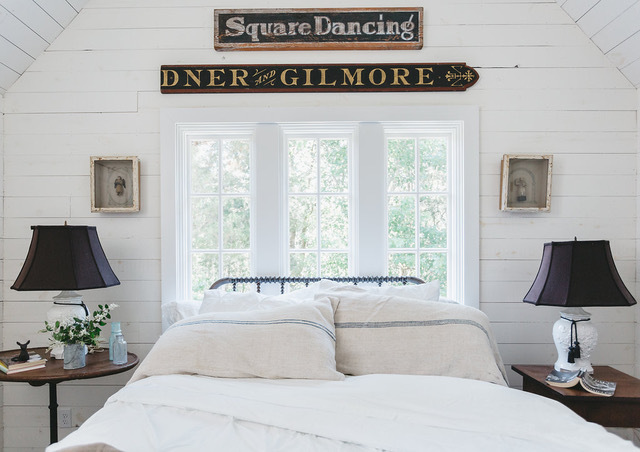 Kim Leggett of City Farmhouse has been collecting, curating, speaking and writing about her lifestyle approach to decorating for many years. By the end of the conversation, you're going to be grabbing your calendar and planning out your numerous visits to antiques fairs with that sweet, energized feeling of anticipation! You know what we mean.... that feeling of knowing you're about to find that one-of-a-kind perfect thing that you didn't even know you were missing! We also talk with Kim about her beautiful new book, City Farmhouse Style, what "farmhouse" means to Kim and why it's so versatile. Get ready to be inspired! Kim & David Leggett pose in front of the 1962 Globe Trotter Airstream that they recently purchased from singer/songwriter Sheryl Crow. The Airstream originally belonged to the President John F. Kennedy’s family. Tour the Airstream at the upcoming City Farmhouse Pop-up Fairs in Franklin, Tennessee in June and October. Country Living Magazine : Kim Leggitt was recently named one of the Country’s 100 Most Creative People. Book Wall : Cabin in Leiper’s Fork, a community in Franklin, Tennessee.